We are in the final days before the start of the spring semester at the college I work at and things are a little crazy right now...to say the least. So, I'm not going to have a chance to compile the results of your comment entries about sketch usage just yet, but I didn't want my lack of time to delay the announcement of one lucky winner. Therefore, I'm going to announce now - as promised - and share some stats later. 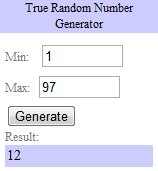 As usual, Random.org chose the winner of a free copy of Scrapbook Page Maps 2: More Sketches for Creative Layouts and Cards ...this time, Random.org thought number 12 was feeling lucky this time. Congrats, Lynn! Watch your email inbox for more details on how to claim your prize! If you didn't win this time, but would really like to add this wonderful volume to your idea book collection, you can pick up your own copy of Scrapbook Page Maps 2 for $17.01 at Amazon.com.